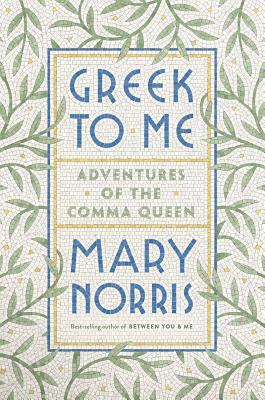 Mary Norris's Greek to Me: Adventures of the Comma Queen is an extended love letter to ancient Greece and its language. Like the best of the genre, this pithy memoir takes readers from the idiosyncratically personal–her teenage identification with goddesses–to the universal–the linguistic and psychological debt we all owe to the ancients. You'll take a time-traveling tour of a founding civilization without ever leaving your armchair.